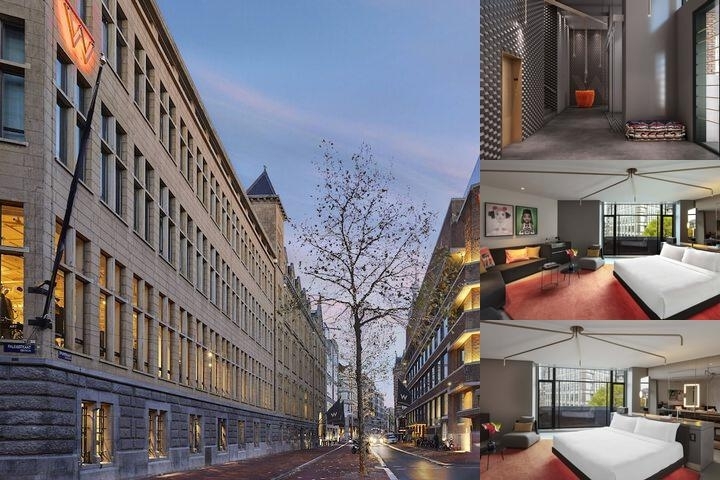 Situated between Singel Canal and the Royal Palace, this vibrant hotel mixes historical Dutch architecture with chic design across two buildings of Dam Square. Were just steps away from Kalverstraat and Nine Streets shopping area and a quick tram ride to the Museumplein.Experience a welcome unlike any other at our rooftop check-in. Detox and retox at our FIT gym, AWAY® Spa, or at the rooftop WET® pool and deck. Our dynamic emporium and exhibit space, X Bank, is your gateway to whats new and next in Dutch art and style.Bold furnishings meet swanky amenities in our eclectic guest rooms, some with canal views. Espresso machines keep you caffeinated while the latest tech, from HDTVs to Marshall audio systems, keep it fun. Get cozy with our plush W signature beds and Bliss® sinkside six bath amenities. You’re invited—and your pet is too. Experience Amsterdam with your four-legged friend by your side. Please note that a 25 EUR daily room surcharge and a 100 EUR non-refundable cleaning fee will apply. A maximum of one pet is permitted in a guest room or suite. Complimentary WiFi is offered throughout W Amsterdam. The W Hotels highlights above are subject to change without notice. Below are the meeting, banquet, conference and event spaces at W Hotel. Feel free to use the W Hotel meeting space capacities chart below to help in your event planning. Hotel Planner specializes in Amsterdam event planning for sleeping rooms and meeting space for corporate events, weddings, parties, conventions, negotiated rates and trade shows. 15 x 35 x 4 Ft.
8 x 10 x 3 Ft.
15 x 12 x 3 Ft.
12 x 14 x 4 Ft.